This extraordinary character study of one of the most significant jazz guitarists of modern times is remarkable not only for the portrait it paints of Frisell himself but also for the noteworthy list of names it interviews in passing. The newcomer with little knowledge of who’s who in jazz could take a notebook and and acquaint themselves with a remarkable number of dirty musicians of one sort or another, from the late drummer Paul Motian through more familiar, popular stars like singer Paul Simon and guitarist Bonnie Raitt to big band orchestra leader and composer Michael Gibbs. Indeed, the latter’s 2009 concert at London’s Barbican Centre featuring Frisell bookends the film allowing Franz to close on ‘Throughout’, the first of Frisell’s self-composed tunes the guitarist ever recorded. And that’s just one reason why you should watch Bill Frisell: A Portrait. Australian independent director Franz worked for a while as a musician herself, which means that her director’s eyes and ears are attuned to what musicians do in composition and performance as well as how their minds work. The film is consequently packed with fascinating material: lots of little moments which make sense to musicians, lots of interviews with musicians and lots of clips of musicians performing together. 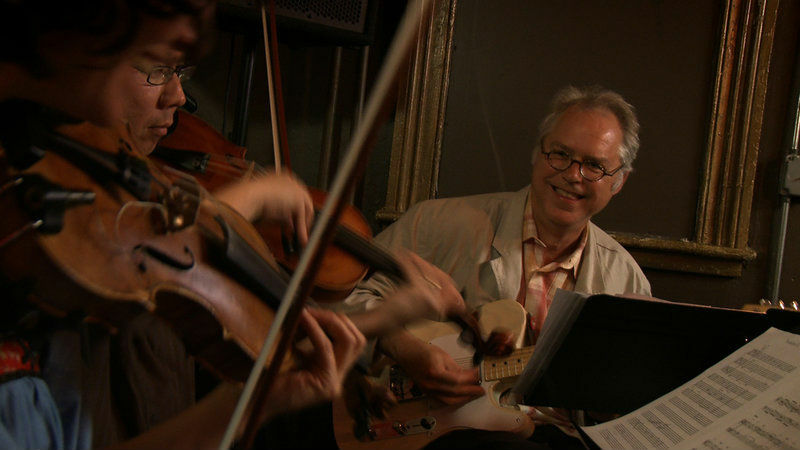 Frisell has worked with numerous collaborators covering both his own compositions and other people’s – both on his own albums and on other people’s – but when Franz was faced with the task of reducing her considerable pile of footage down to a two-hour-long movie, it became apparent that the rights to the non-Frisell compositions were going to cost a lot more money than she had. Thus, budgetary considerations played a role in the editing process which mean that all the performances captured in the final edit are of Frisell’s own compositions. 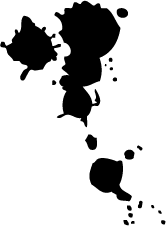 Which are plentiful as he’s a prolific composer. Bill Frisell has recorded over 30 albums of his own since the early nineteen eighties and if you add to that the number of other people’s albums on which he’s played it runs to about 200 titles. Many of the album covers briefly go up on the screen (in one short animated montage), but the piece navigates more performance footage by Frisell himself with his musical collaborators plus Franz’s interviews with him and many of those collaborators. The guitarist gave his blessing to the project at the start. While a working musician, Franz simply asked him if she could make a film about him and he said yes. Interviewing him however was another matter. Inasmuch as the film has a structure, it’s held together by Franz’s interview of Frisell which came right at the end of the shoot by which time he’s got comfortable with her and her cameras being around. Whilst quietly brimming with talent, he’s clearly a shy and humble man who is almost embarrassed to take her to a closet in his home to show her the numerous guitars which he’s storing there in cases. We warm to him immediately. The performance footage varies between jazz, blues, folk, country and even an avant-garde band with a screaming vocalist, all of it amazing. Other highlights include Frisell and Gibbs chatting in the back of a car travelling through London. 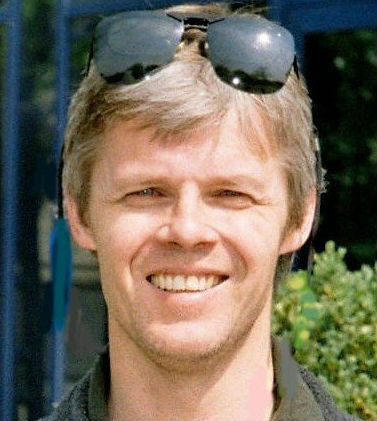 Those familiar with his music will be delighted, while the newcomer will be thrilled to stumble upon a versatile talent in the body of a retiring and amiable human being. Whether or not you know this man’s work, Franz’s warm and compelling documentary about him is, quite simply, a treat. And a great introduction to the man and his music. 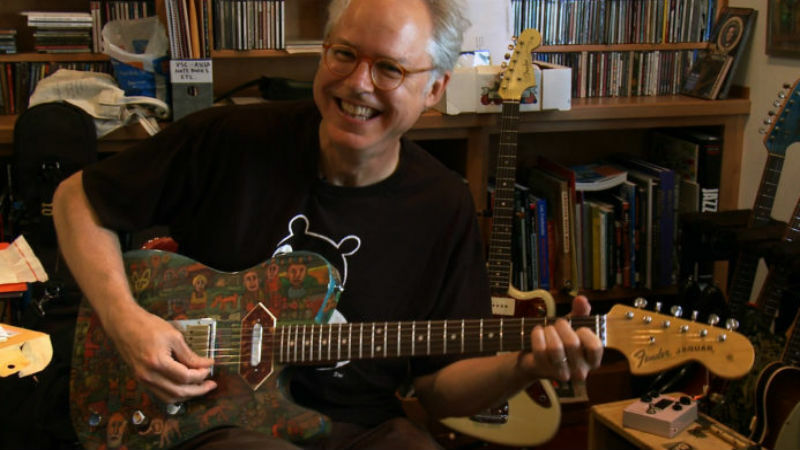 Bill Frisell: A Portrait showed as part of the Doc’n Roll Film Festival in 2017, when this piece was originally written. Blu-ray, DVD and VoD* available and shipping worldwide through www.BillFrisellFilm.com from March 2018. *VoD now available with English closed captions & subtitles in Spanish, French & Portuguese, with Italian and Korean to come shortly.